Lidl's tills sucked £177m away from its rivals in the hard-fought Christmas quarter while Asda and Tesco faltered, according to survey data from Kantar. The German-owned company was the overall winner in the 12 weeks to 3 January 2016, with the 18.5% jump in sales growing its market share year on year from 3.5% to 4.2%, double that of Iceland. Lidl, whose advertising and marketing director Arnd Pickhardt was voted Marketers’ Marketer of the Year in November, achieved the feat despite cutting its November adspend by 10%. It picked a light-hearted rather than sentimental theme for its Christmas ad campaign, which kicked off on 1 November. 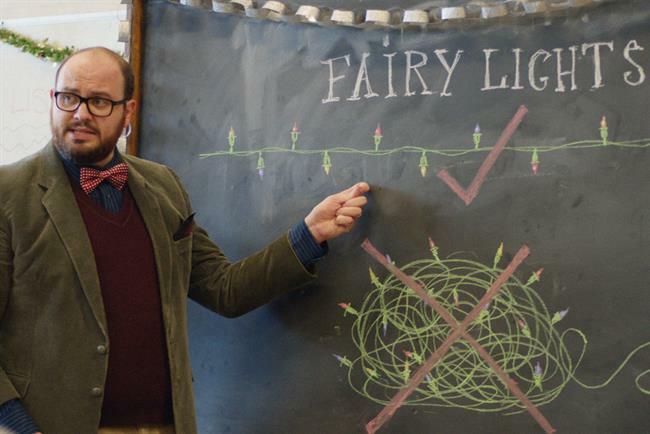 TBWA\London created ads showing people being invited into Lidl’s school of Christmas, and then being taught how to light Christmas puddings and untangle fairy lights, among other things. Fellow discounter Aldi also put in a strong sales performance, growing by 13.3% to £1.5bn, which took its market share up from 4.8% to 5.5%. The two chains now have almost a tenth of the market, which shrank by 0.2%, between them. "The discounters are continuing to establish themselves in the minds of British consumers – almost one in eight did their single biggest December shopping trip in Aldi or Lidl, on top of the 15.6 million households who visited at some point in the 12 weeks," said Kantar Worldpanel head of retail and consumer insight Fraser McKevitt. Asda had the worst period, with sales down 3.5% to £4.43bn, leaving it further behind Sainsbury’s, to which Kantar attributed 0.8% growth to £4.66bn. Market leader Tesco continued to lose share with a 2.7% drop in sales to £7.75bn.